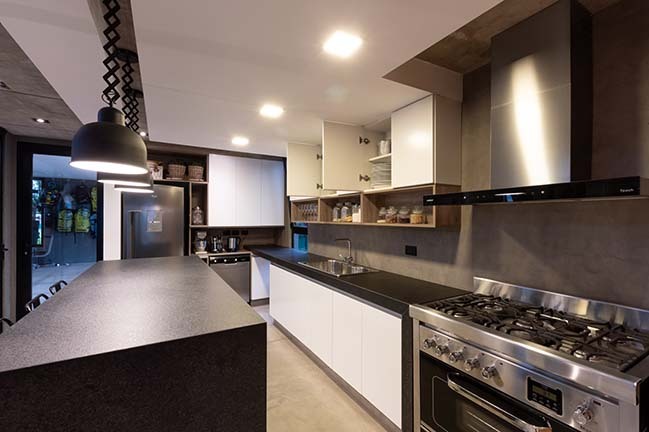 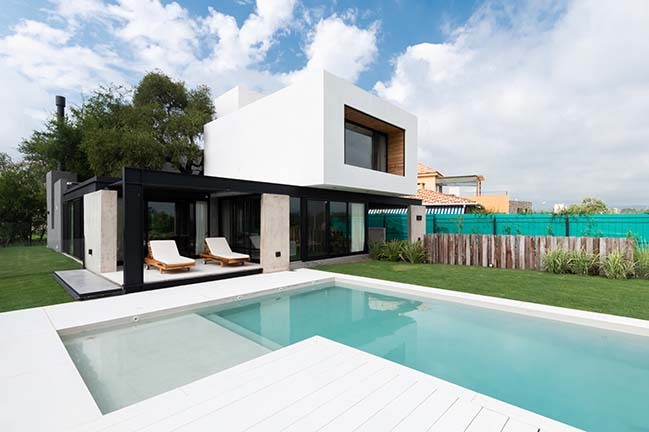 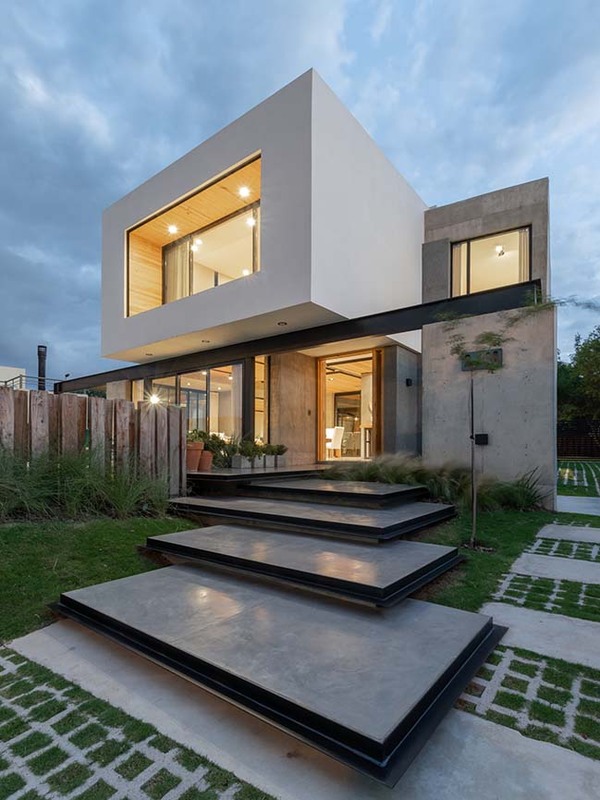 The house is located in the northwest area of Córdoba (Argentina). 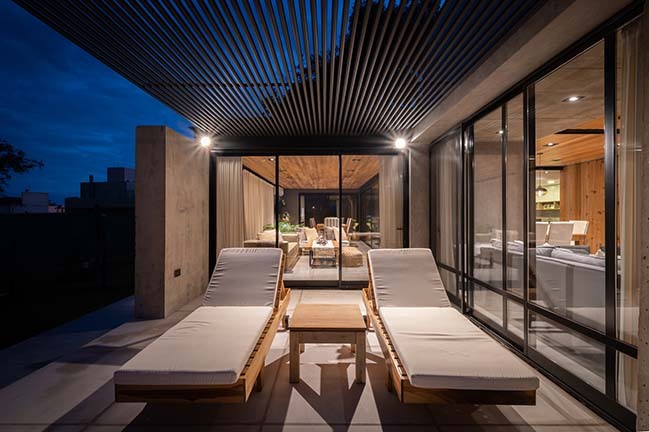 The place itself is compelling: with a unique view of San Martin Natural Park and close to a ravine that extends the landscape. 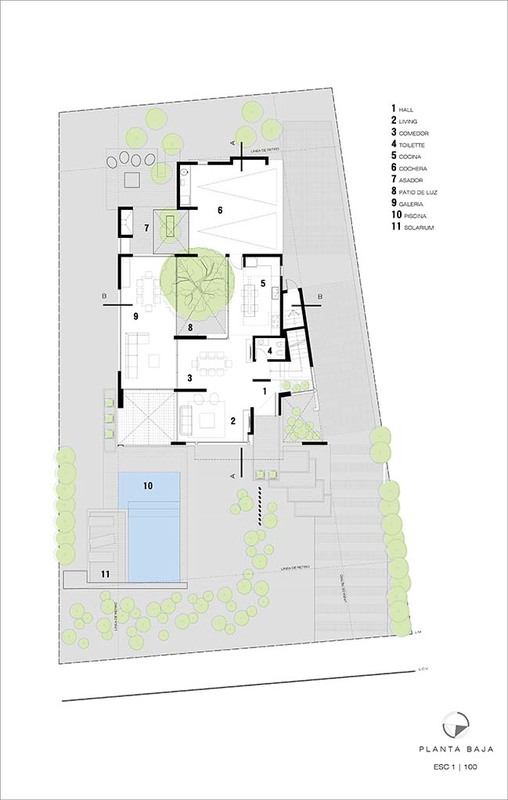 From the architect: In the stage prior to the project, it was already easy to identify the possible “untouchable” points and the design premises. 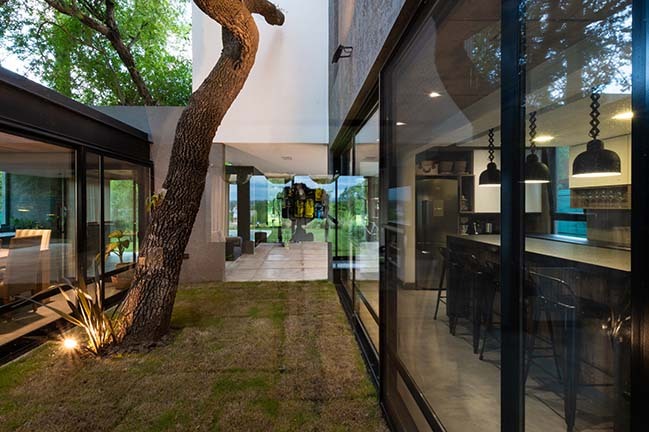 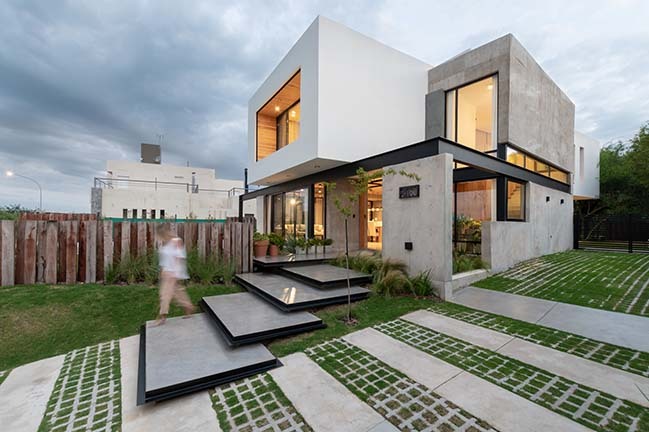 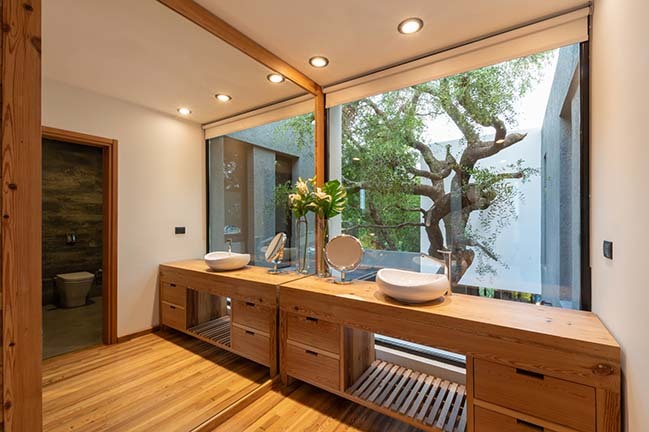 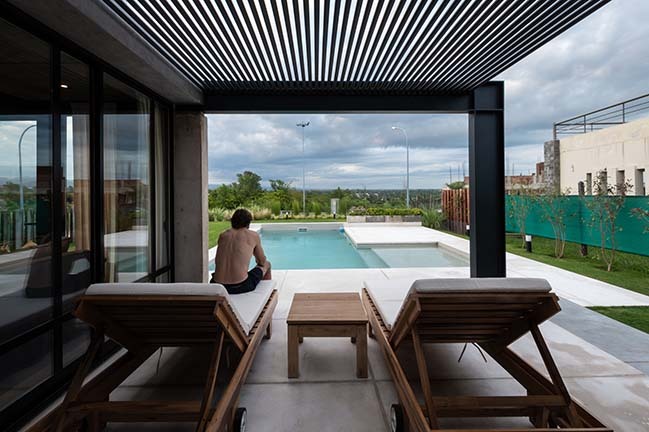 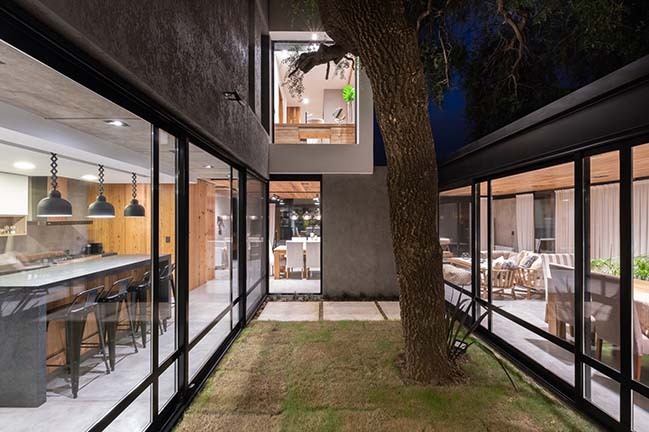 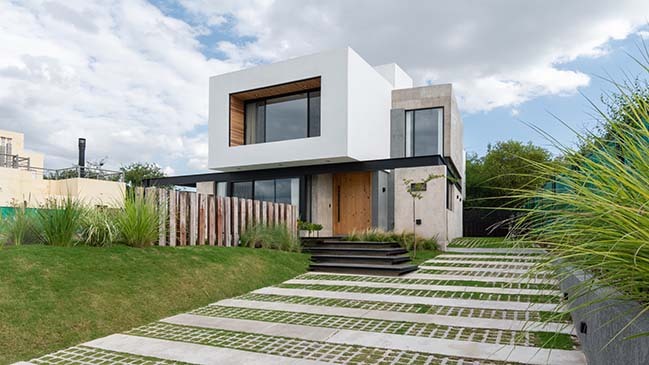 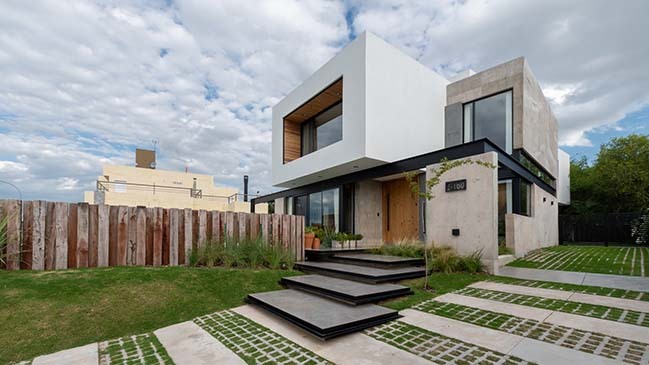 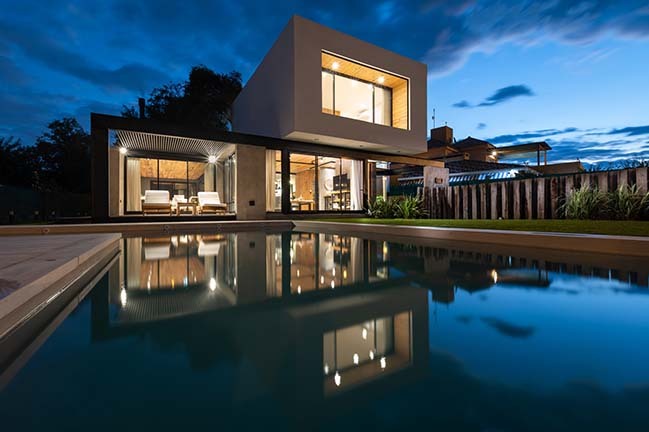 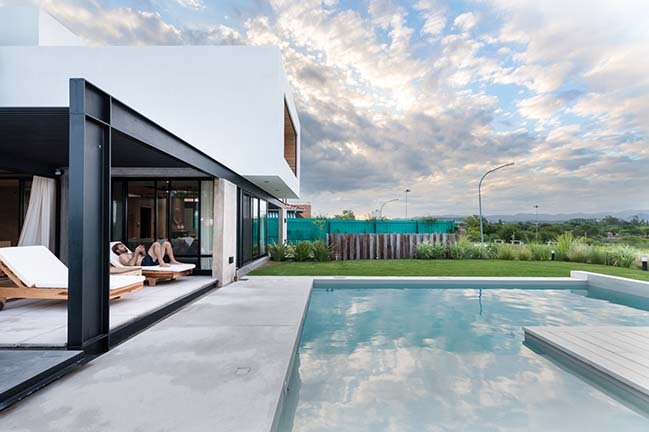 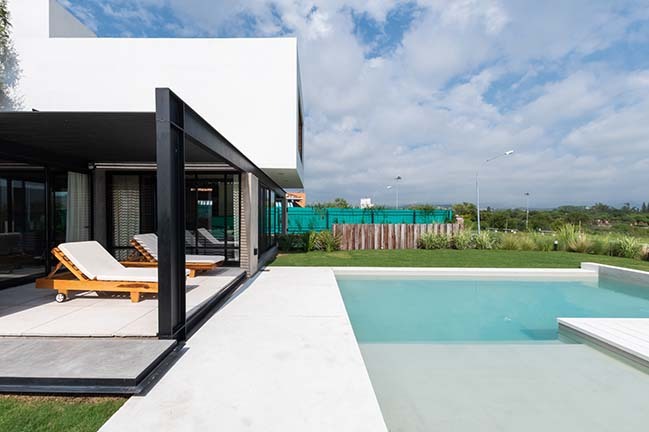 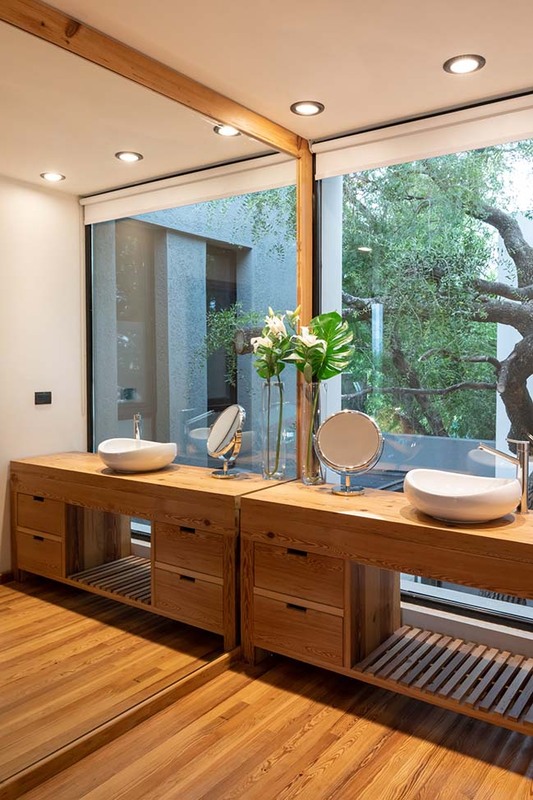 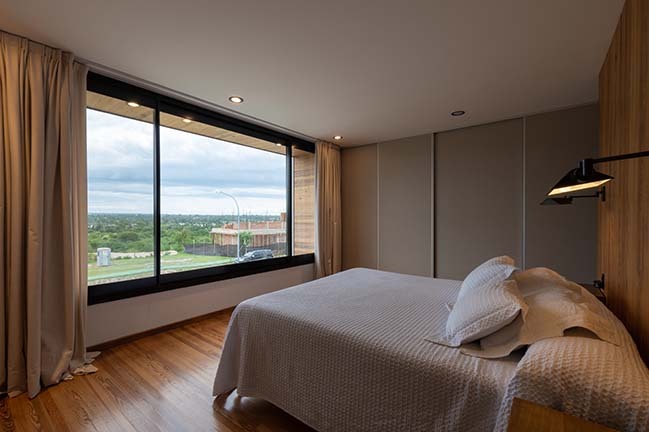 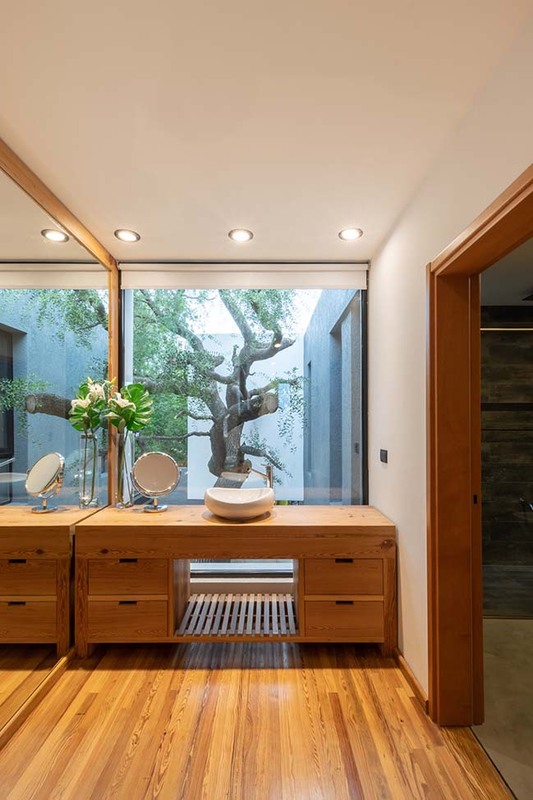 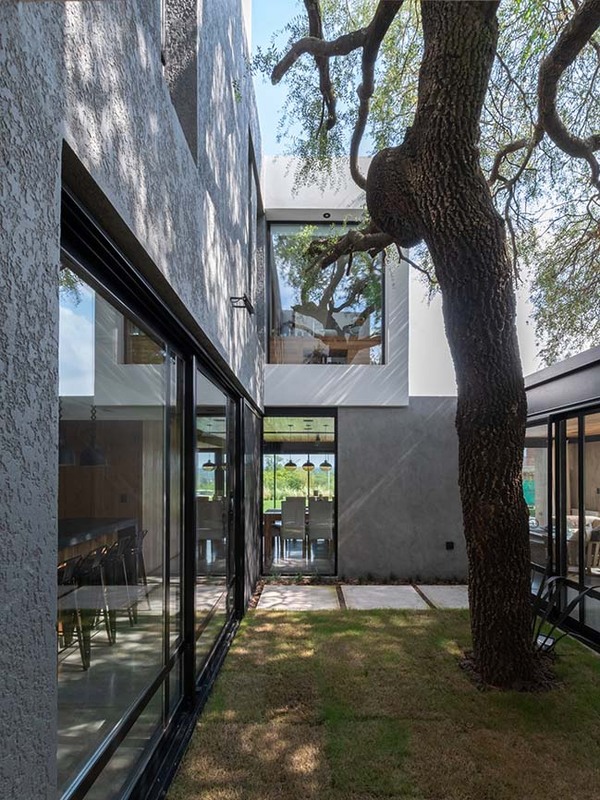 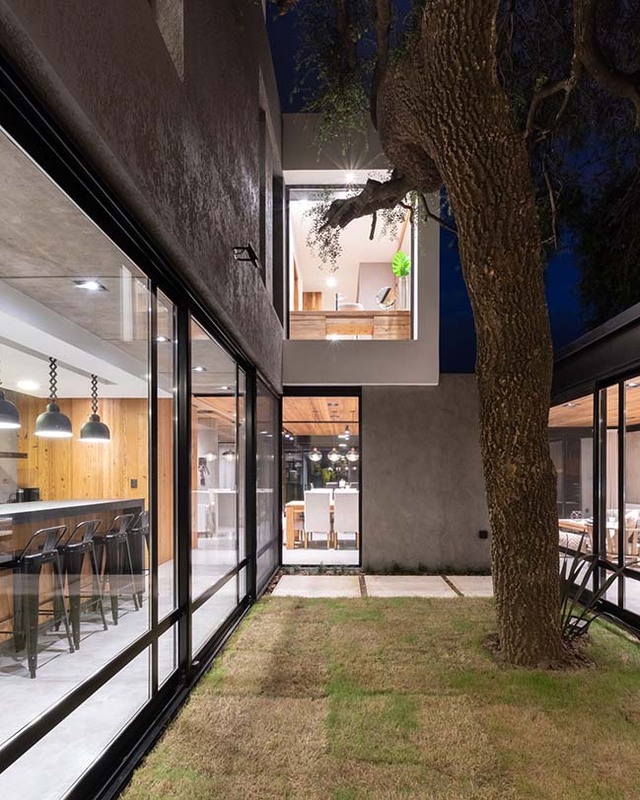 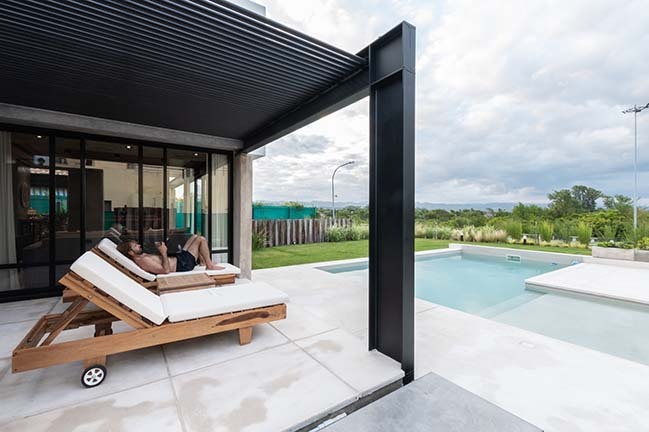 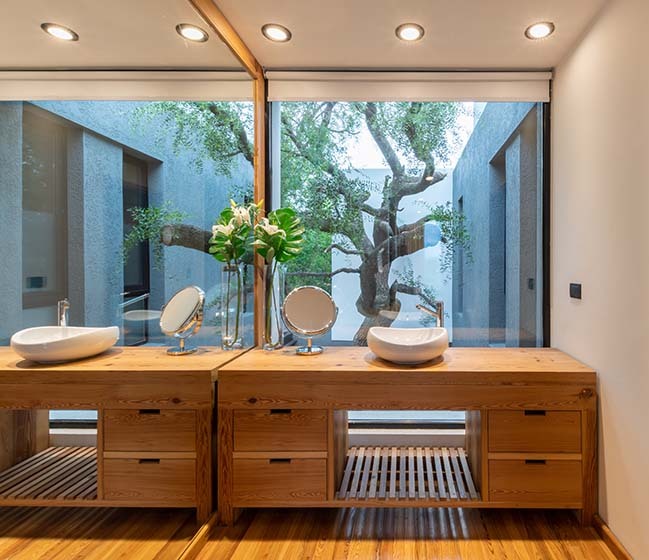 The views, the ideal north-orientation to the front and a mighty native Quebracho tree growing in the middle of the lot suggested an “extroverted” house at the back side of it, propelling a ground plan where all its environments encourage to appreciate both the views and the imposing tree. 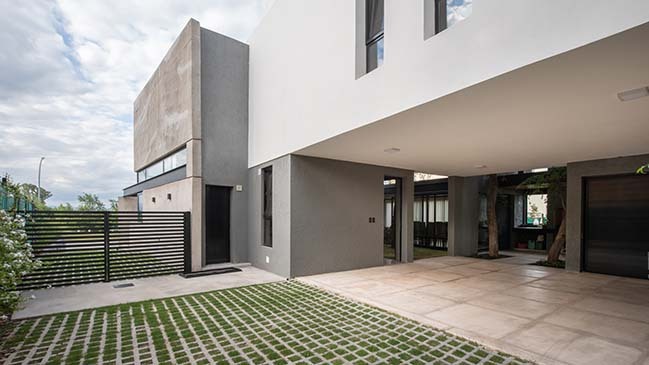 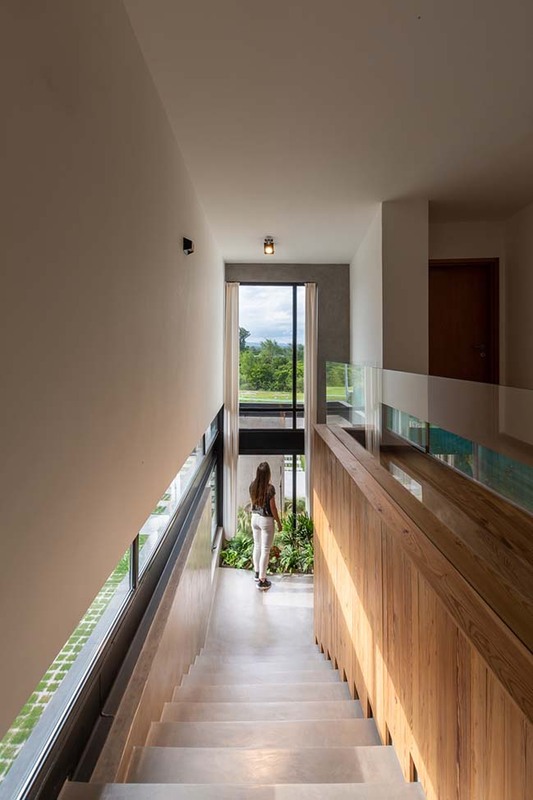 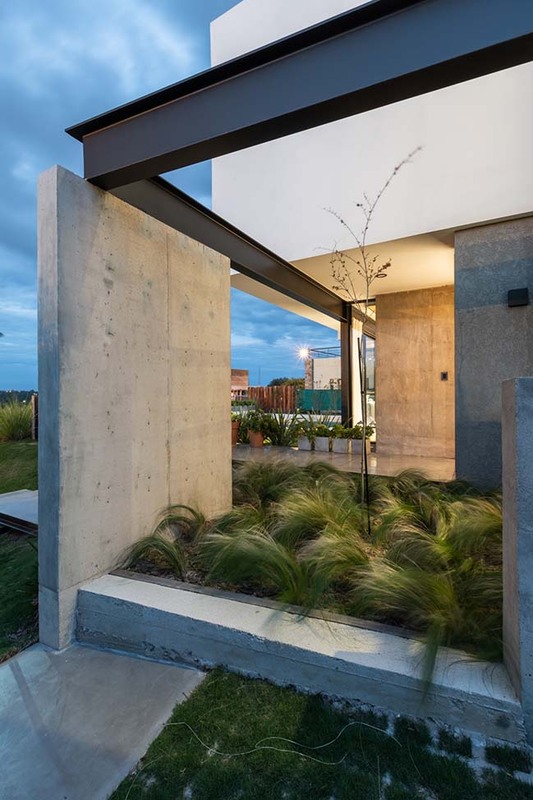 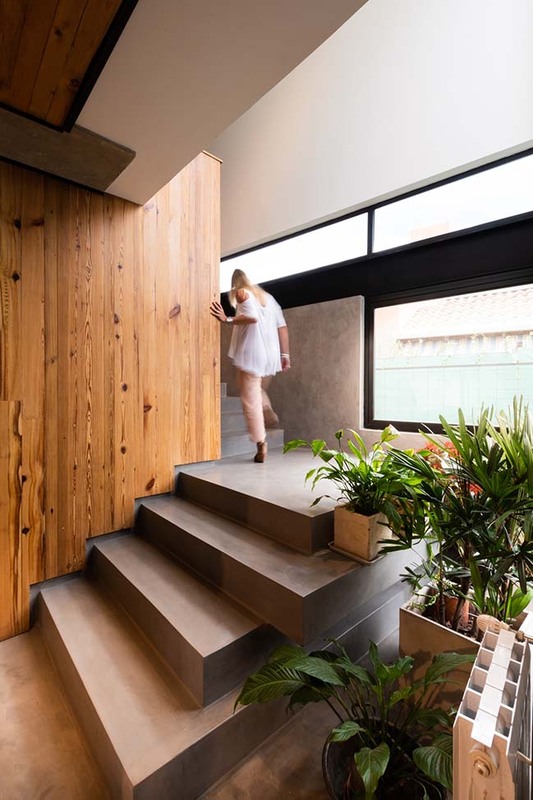 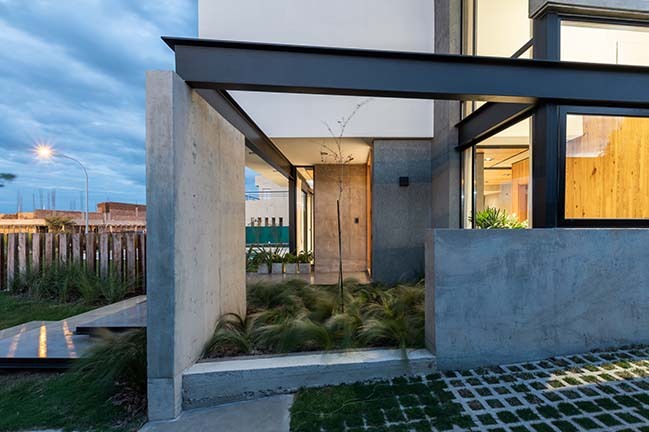 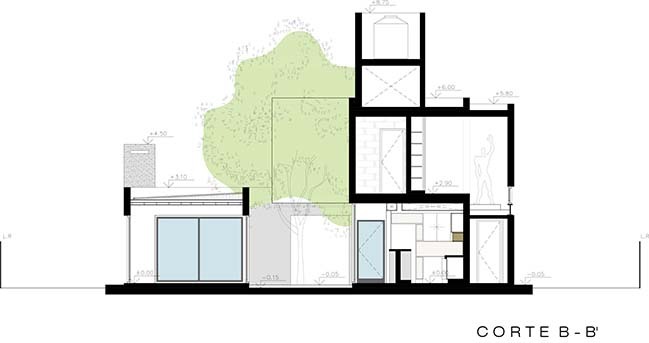 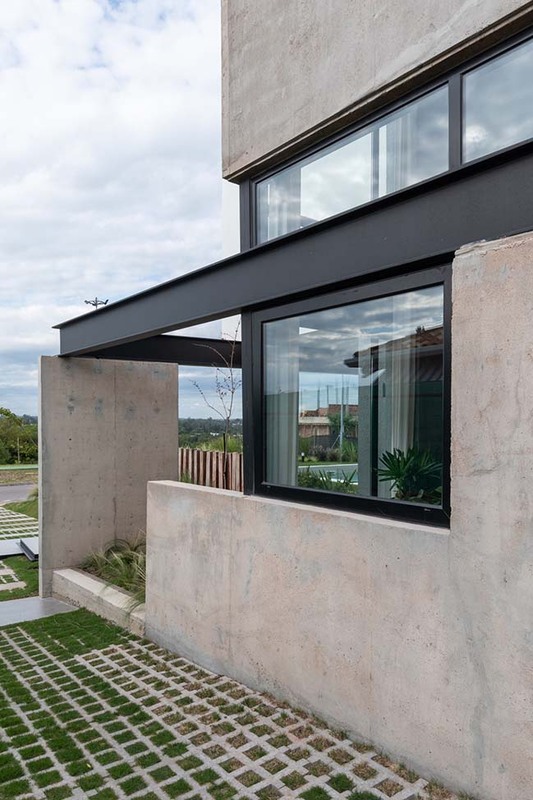 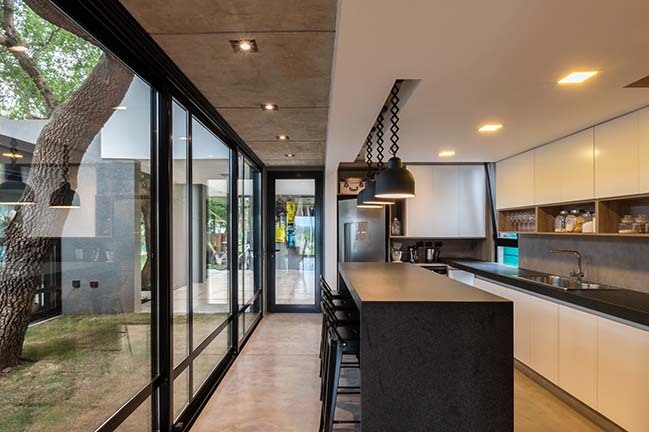 The concrete walls of the house are the robust support that simulates the trunk of the tree, buttressed by steel profiles as branches that hold a pure volume. 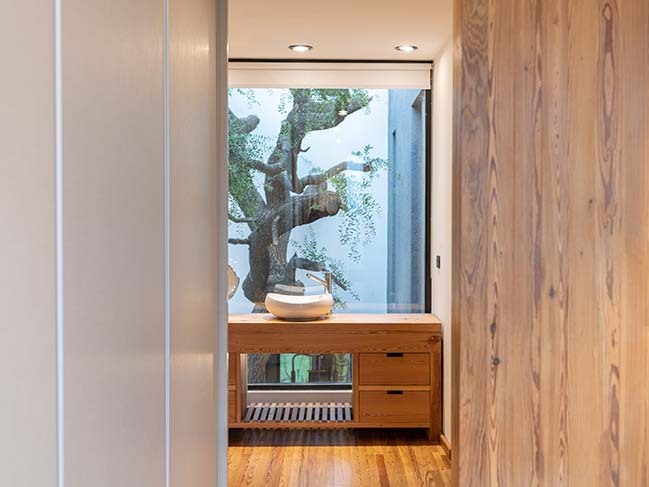 This volume of the upper floor is oriented towards the reserve landscape, through a large window framed in beautiful pitch-pine wood (“pinotea”), widely used in Victorian buildings and valued for its distinctive grain, rich colours and durability. 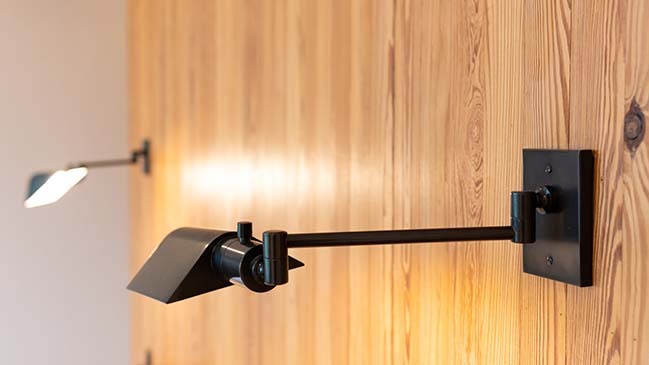 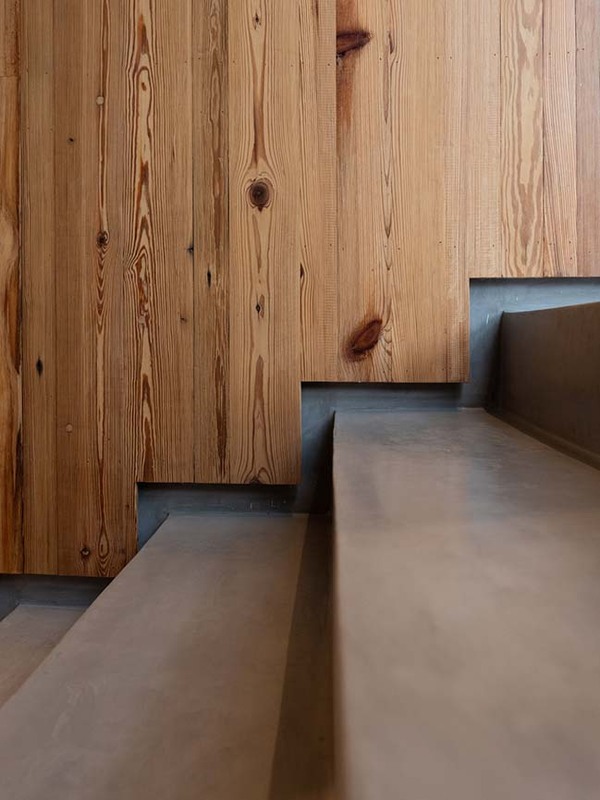 In every detail, pitch-pine wood is present. 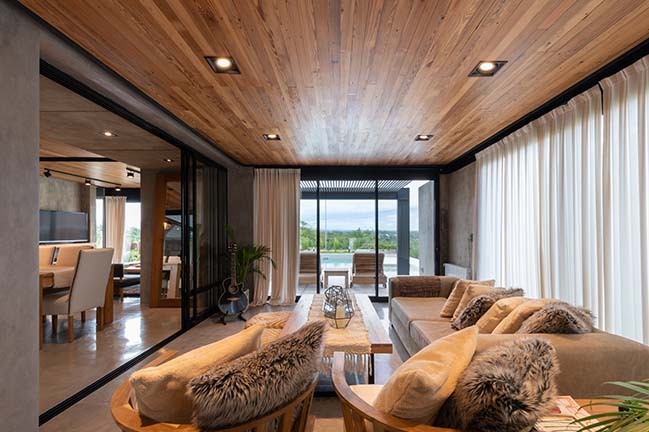 The interior of the house is not an exception. 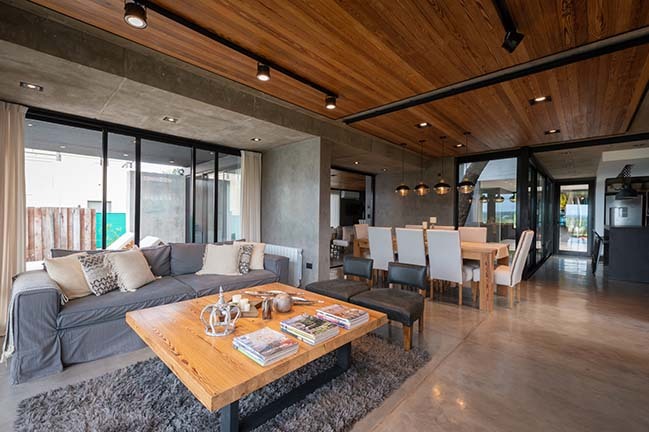 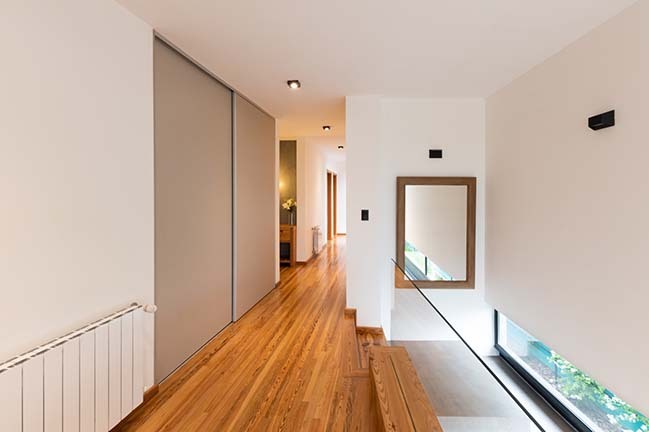 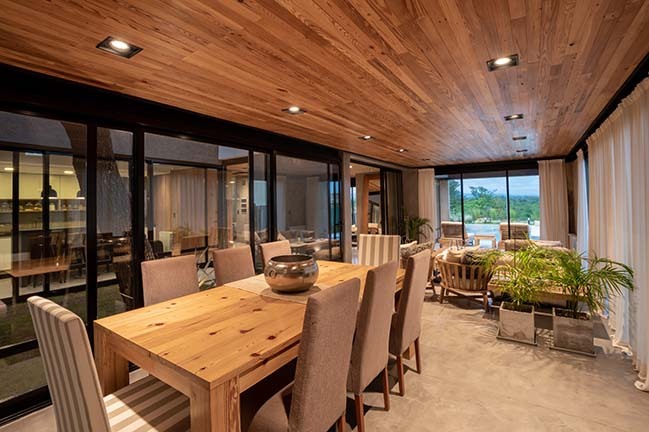 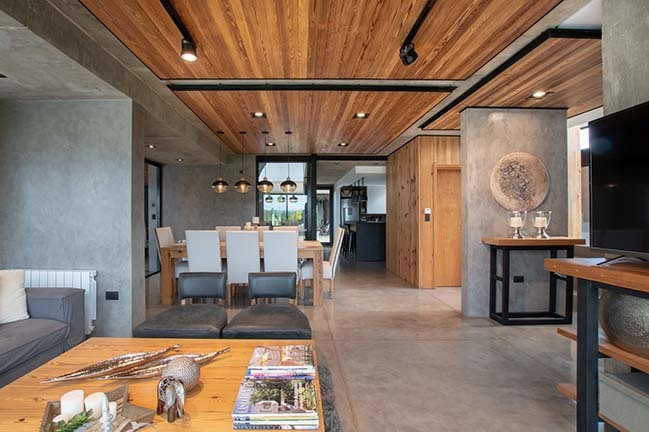 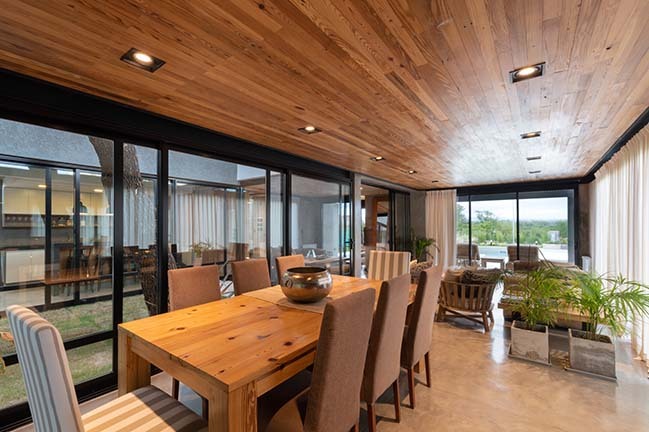 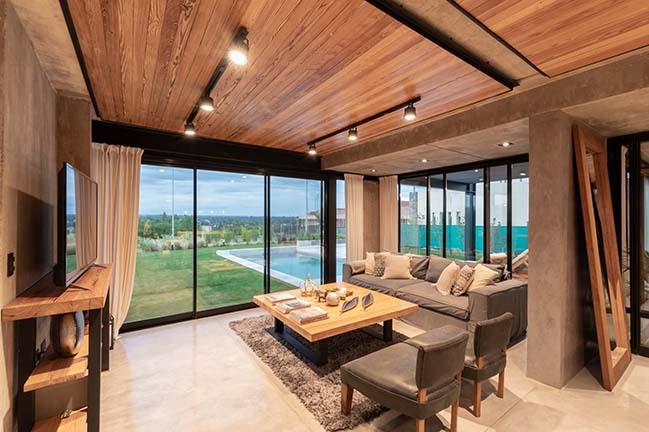 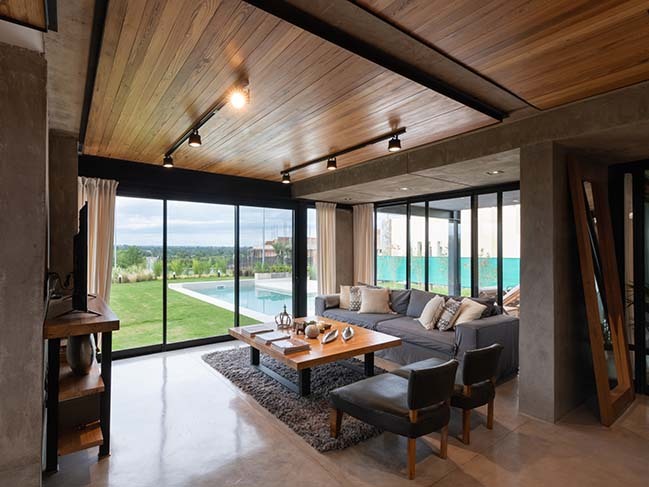 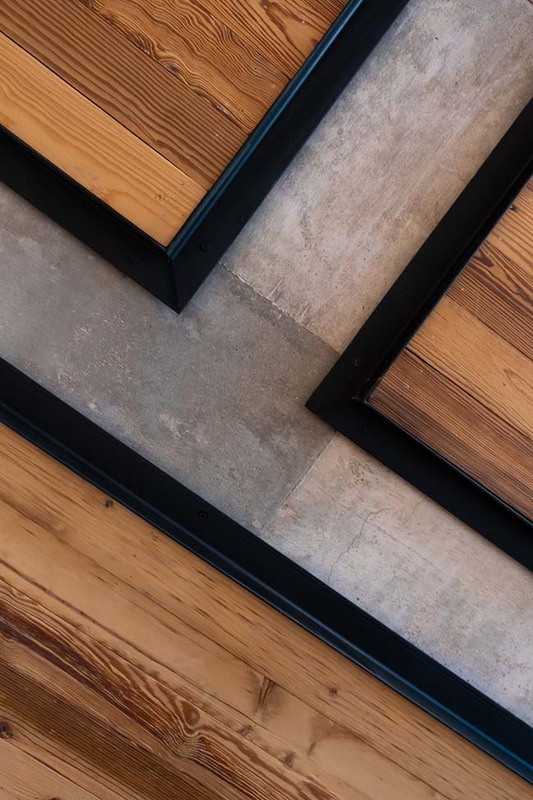 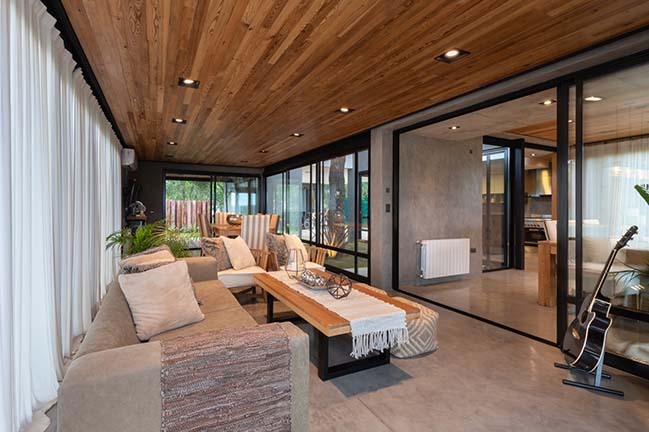 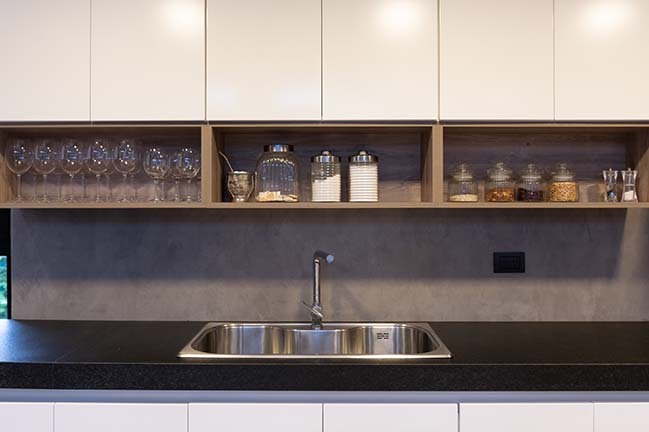 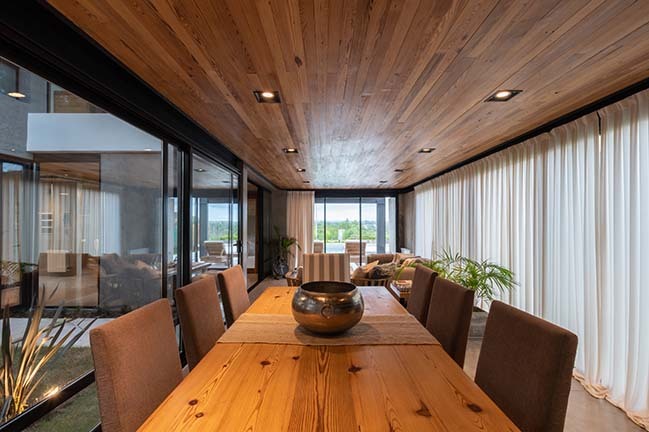 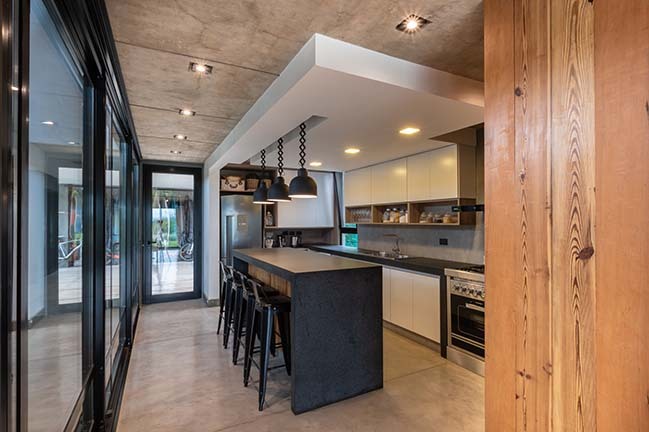 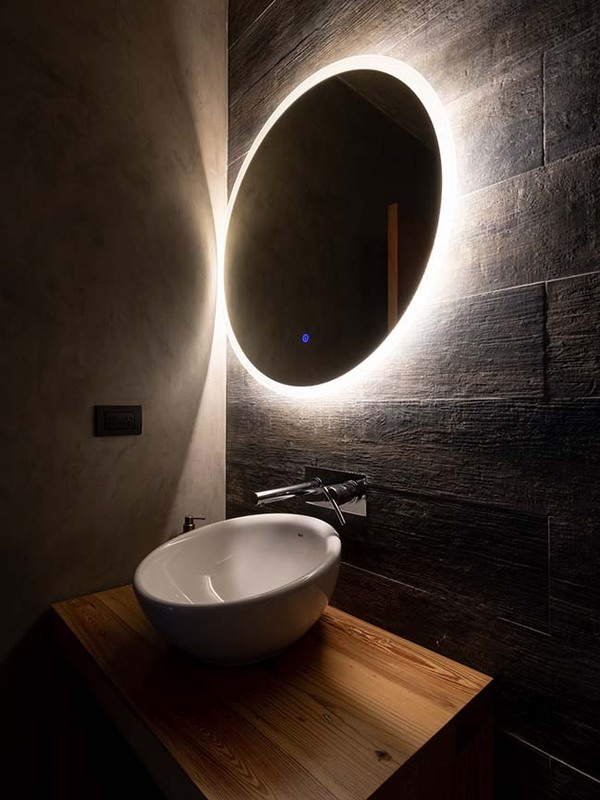 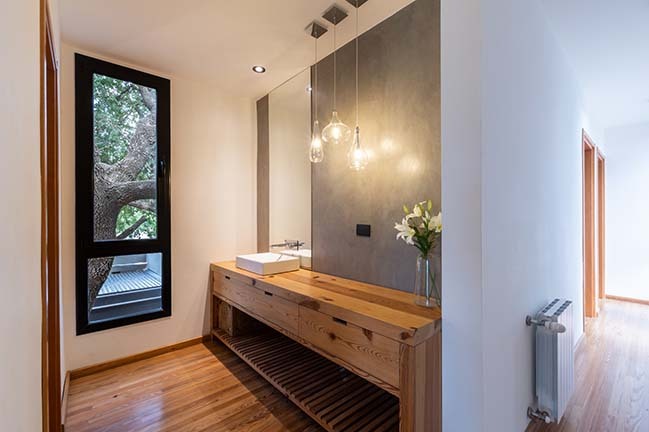 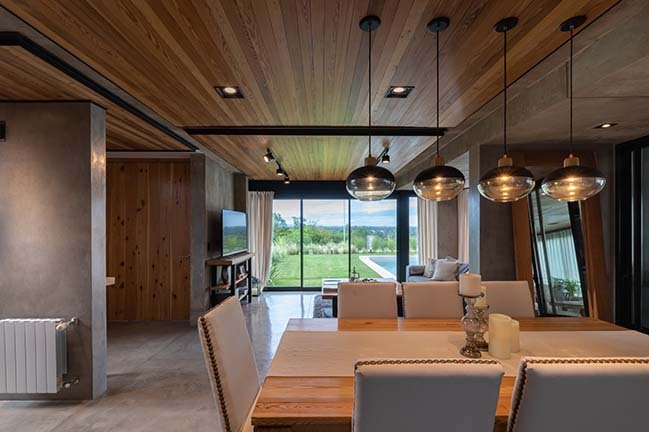 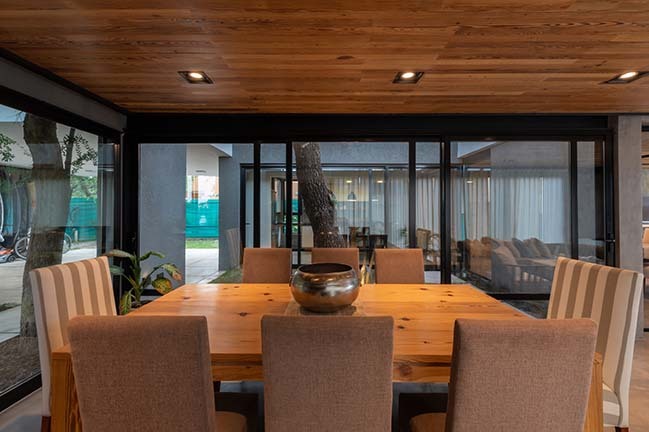 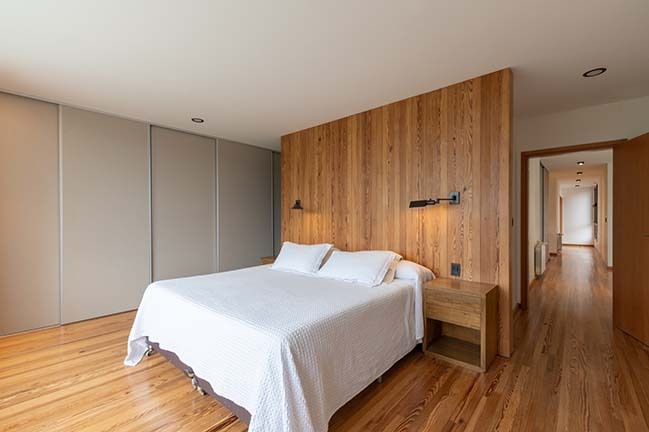 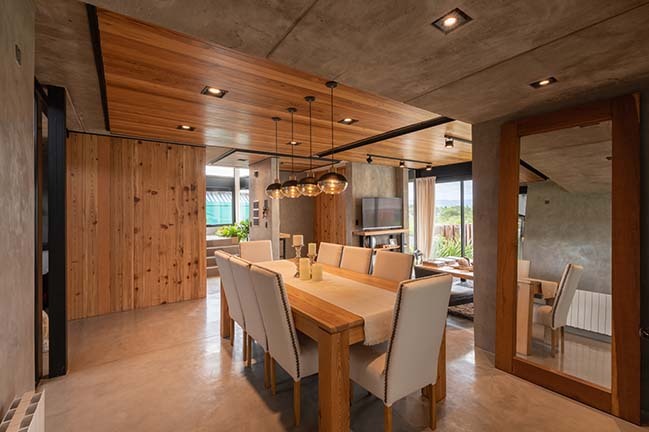 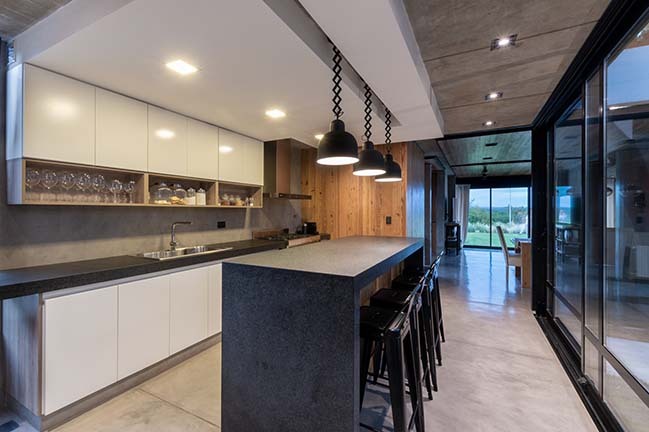 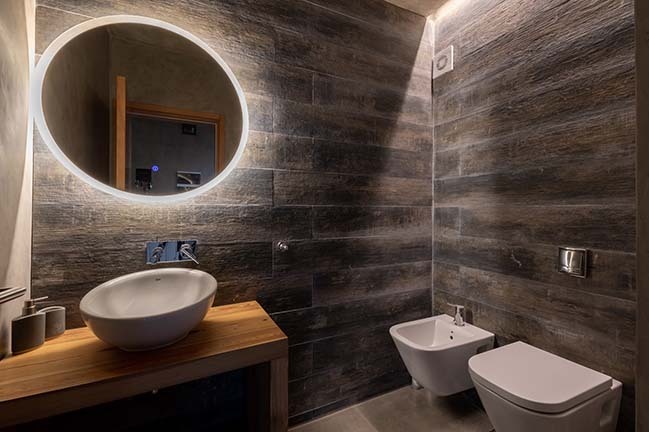 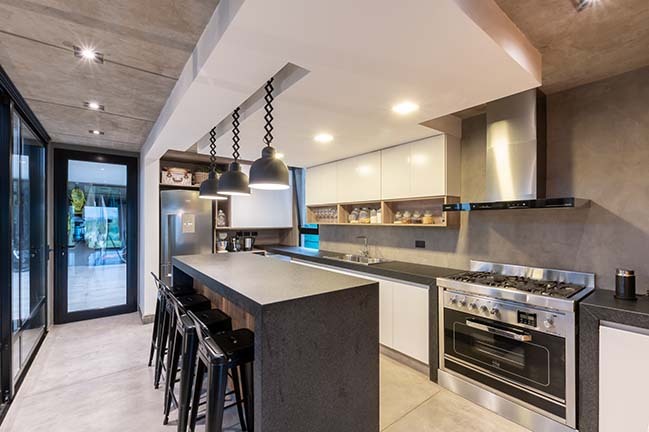 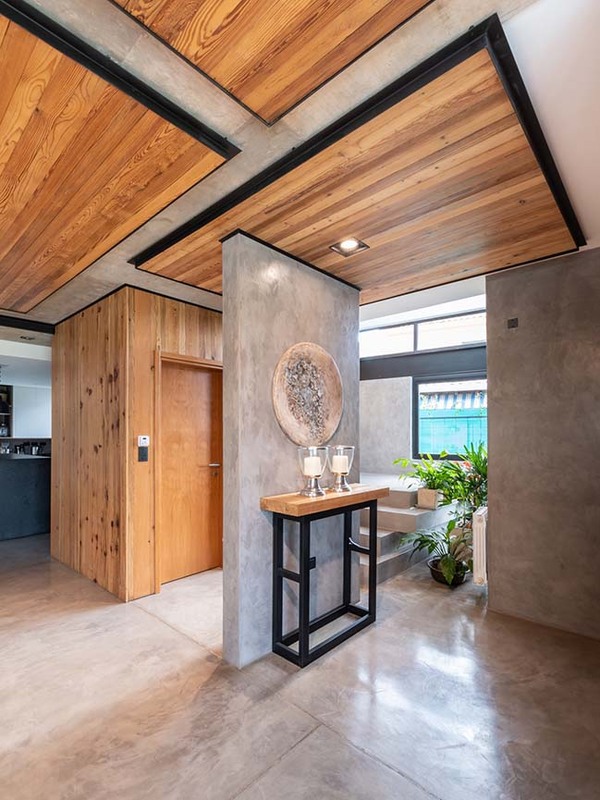 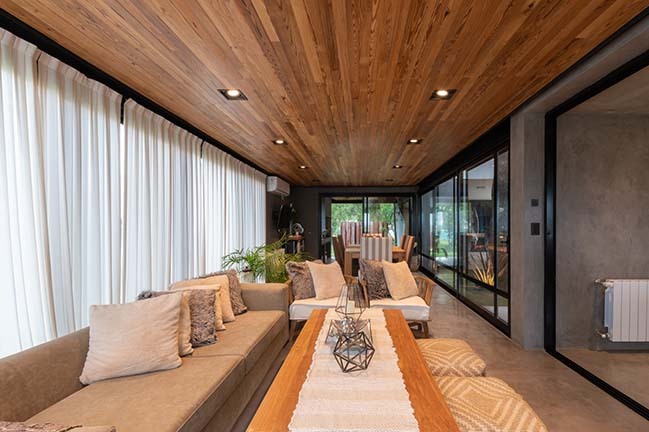 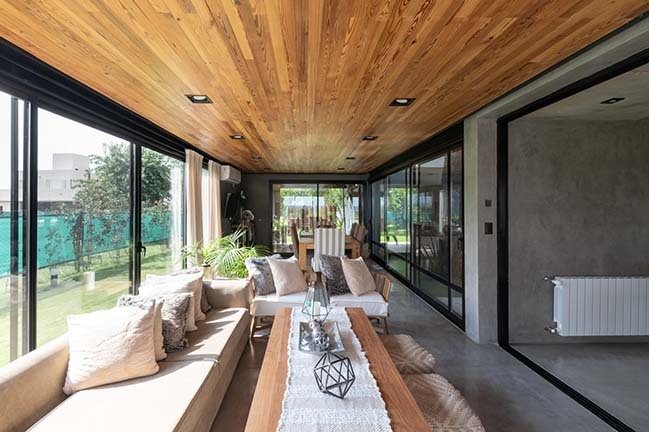 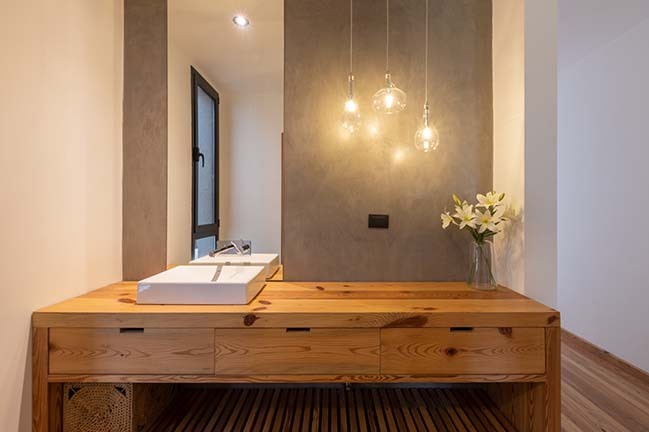 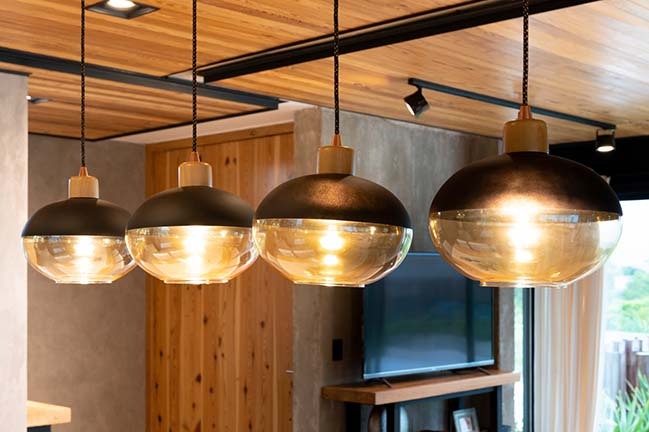 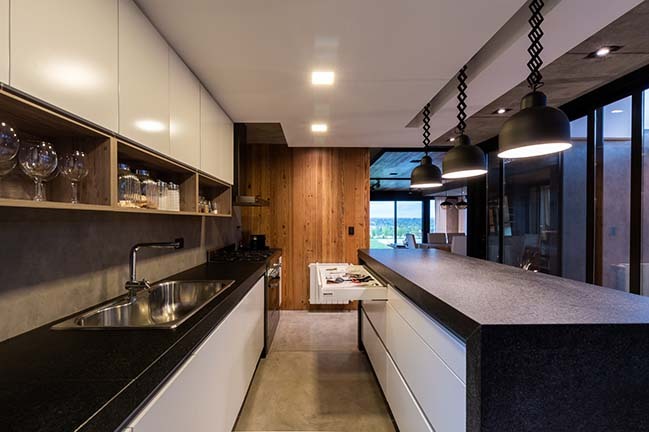 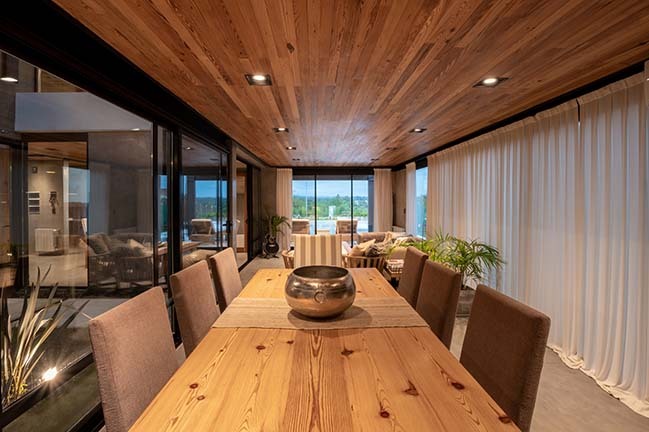 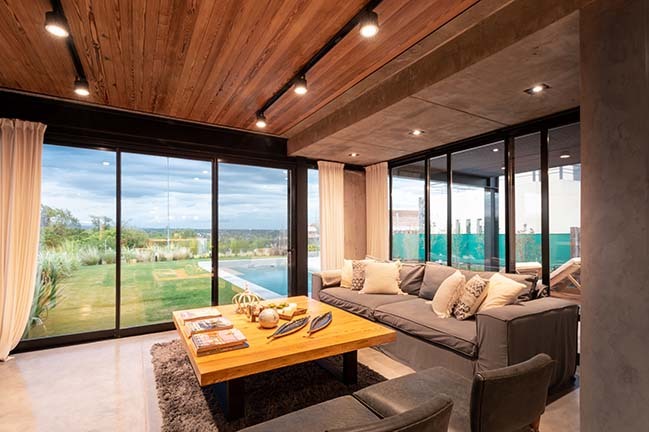 Pitch-pine wood coverings and furniture create a warm environment that contrast with the coldness of concrete and steel. 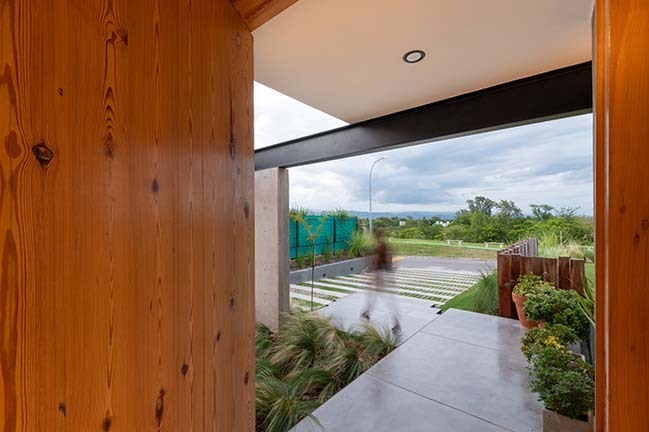 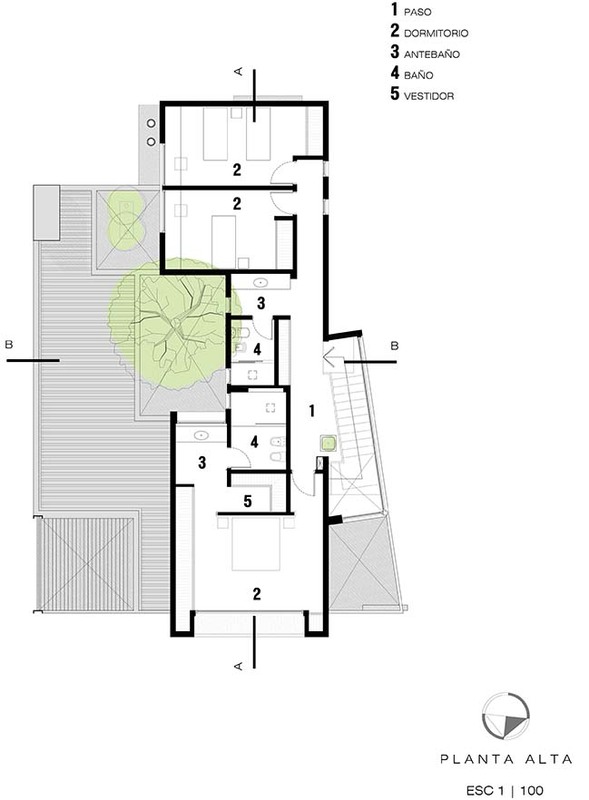 The front garden of the house has been well planed by a designer and intervened with a small selection of plants and wooden elements to generate the privacy of a garden, but without obstructing the views of the house.